Over the last few years, Kindle has really become huge. Almost everywhere you go this day, you see people from all works of life holding their Kindle and engrossed reading books with it. As a matter of fact, Kindle has become equally as popular as an online business model. Nowadays, one can easily become a published author just by writing an ebook and upload on Kindle. The purpose of this article on this web page is to discuss why Kindle has become so popular and how you can become a Kindle publisher and make money too. You might not see yourself as an author - but as we're going to discuss on this page, writing a book doesn't have to be as difficult as you might imagine. Apart from the fact that Kindle is a great business model for so many people all around the world, it is also fun to see your published book on virtual shelves on Kindle. Kindle is also a lucrative business model, depending on the effort one put into his publishing endeavour. Before we dive in, let's have some background information about Kindle generally. Why has Kindle become so popular with users? Whether you're on a train, bus or sitting in the park you're always seeing people reading their Kindle. Quite honestly Kindle users are so much all around the world - and it's probably only going to get even more so over the next few years. But the question is "Why has Kindle become so popular?" To answer this question, when the idea of e-readers first came about many people scoffed at the concept and said that they wouldn't take off because people would always prefer reading from a traditional book. They argued that part of the reading experience is turning the pages and seeing lots of books on your shelves at home. Kindle, it is still exactly the same amount of space in your bag that the Kindle will occupy irrespective of how many books you stored in it. This, therefore, means that you can take your entire library of books with you wherever you go. Along a similar line is that with a Kindle you can purchase a book at the touch of a button. Let's say you are browsing the internet one day and come across a new book that you really want to read. Before the days of Kindle, you would have to order it and wait for it to be delivered - or you would need to pop to the shops and pick up yourself a copy. With a Kindle, you can purchase the book at a touch of a button and have it sitting on your device just a minute later. As the saying goes, anything that has advantages also has corresponding disadvantages. Kindle is not an exception. Publishing books with lots of images on Kindle was a problem initially, and such books can be better when you've got a hard copy, however, in recent years Kindle has been able to solve this problem with their Fire devices which combat this to a great extent. These newer versions of Kindle are now fully functioning tablet computers that can compete favourably with devices such as Apple's iPad, which made Kindle appeal to a whole new audience and expanding the possibilities considerably. Publishing on Kindle is the best mode of self-publishing you can have. Gone are the days when if you try to publish a book in the traditional way, you might have to wait for months if not years to get your manuscript approved and to get a good deal in publishing the book. There is a saying in the world of publishing that the more you wait, the more money you lose. You won't face any of such challenges if you opt for Kindle publishing. Here, since you are self-publishing the book, you do not have to waste too much time over running from one publishing house to another. You also have the control over making changes to the book whenever you need to. Publishing on Kindle is as easy as ABC. You can get started whenever you wish to and publish your book on Kindle. The tools provided are simple to understand. All you have to do is write out your book in MS Word and then follow some simple steps to publish it. You can publish your book, along with necessary formatting and editing, in just half an hour. Publishing a book has never been this easy! Hundreds of people are opting for Kindle not just for its convenience of publishing or worldwide reach. Kindle also gives you the opportunity to earn a very good royalty on your published ebooks. So, you are mistaken if by any chance you thought that publishing on Kindle would amount to a monetary loss. People spend more time online than they do anywhere else. We are digitally connected all the time - so, it makes sense to publish your book on a digital platform where thousands of people log in every day to check what's new. 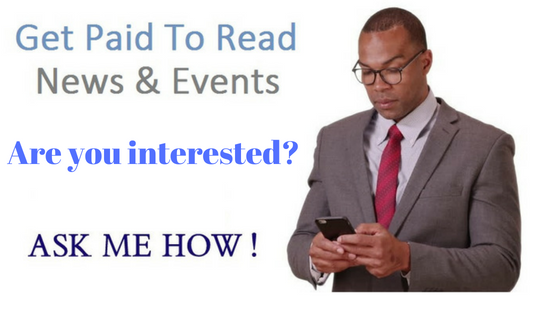 You can instantly market your book worldwide. It, therefore, means that you can have a wide reach for your book and reap the benefits if you published it on Kindle. Reading will never be out of fashion. Hence, writers will always find their place on the reader’s shelves, if only they can reach them. Years ago becoming a published writer meant going in circles from one publishing house to another and depositing copies of your manuscript for them to read. Then it usually would take some months and sometimes even years to get the manuscript approved, edited before the book can be published. The same process still exists of course - but with Kindle, it can be much easier... Kindle books take less time to publish. Think about the months that you might have to spend trying to convince a publishing house to publish your book. Now think about publishing that book of yours in ebook form in under an hour... Which seems to be a better option? The latter of course! equal to losing money in the publishing world. You do not even have to be a tech expert to publish your book on Kindle. You can just write out your book in MS Word. Once on Kindle, you can simply follow the instructions given there to edit and format your file. Thereafter, you can publish your ebook. And all this is a super fast process. So, your book is out there on the market sooner and within the reach of all your potential readers. Another advantage is the fact that Kindle books are easier to market than hard copy book When you publish a hard copy book with a publishing house, the house takes the responsibility of marketing the book through various book launches and interviews and book parties. But, if you are on your own and are thinking about self-publishing your book, then marketing might be the biggest hurdle you will encounter. This is not the case with publishing on Kindle ebook, with Kindle your marketing troubles will be simplified to a large extent. On the digital platform, it is easier to spread the word. The moment you publish a book on Kindle, it becomes accessible to thousands and thousands of readers world over. Hence, your book can have a worldwide reach within hours of publishing on Kindle. You agree with me that this is something that hard copy books cannot claim to attain so easily. 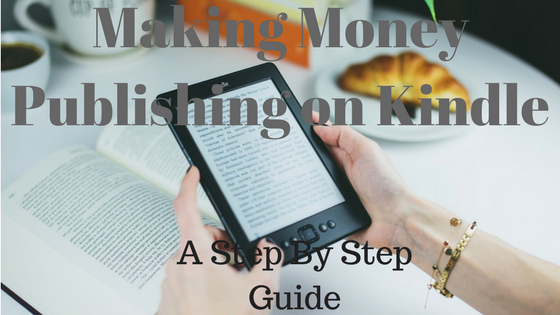 With Kindle, book publishing has never been this easy or profitable! Having discussed why Kindle is a good way forward. Now it's time to get going and start publishing some books. But wait a minute! "What can I write? I haven't got any ideas!" Coming up with good book ideas is a must in order to be a success on Kindle, Your book ideas need to be among the best. Every day numerous authors are publishing books on Kindle meaning the competition is so high. So - in order to beat the competition to a large extent, you need to have a book idea which will be different and will interest the readers. Coming up with viable book ideas may seem like an easy concept – but it is not. It takes quite some hard work. There are indeed particular ways in which you can come up with decent ideas for Kindle books which I will discuss shortly. One of the best ways of starting your research is having a dig around in the Kindle store. Here you will find lists of bestsellers that have been tremendously successful. So, there must be something in these book ideas that worked with the readers. Hence, a good way to come up with good ideas for Kindle book is to research more on what has already worked on Kindle. The best way to do this is by first picking the theme you wish to write on and then going through that particular category or related category of books on Kindle. When you do so, you would find the book descriptions as well as the reader reviews. This will help you research on what kind of books have already been written on the topic and what the readers liked and did not like. This way, you will be able to get good ideas on what exactly your book should be on. You can also research all over the internet on your chosen theme and any related information. The more you research, the more refined you get in your choice of ideas for your Kindle book. Trends come and go - but there are always particular topics which are hot at the present time. So, make it your job to always know what the current trends are. You will find trends in your chosen theme or current topics or even popular incidents. Find out what is popular among readers now, and then modify it according to your style of writing, or the topic of your choice. This way, you can retain your originality while getting new and viable ideas for your Kindle book. It is easy to feel stressed or overwhelmed when thinking up new ideas for your Kindle book all alone. In times like this, brainstorming can indeed make the task easier for you. The key to writing a good Kindle book is in finding the perfect niche for yourself. For this, you must soak in as much information as possible from the internet, other books etc. Then discuss it out with your peers, other writers or experts in the fields you wish to write about. The more people you talk to and discuss with, the more ideas you will get. Think about topics or genres that truly interest you. Although it's important to make sure that your book subject actually has a market (there's obviously no point in writing something nobody is interested in) - it's also worth considering whether you actually have an interest in the topic. Well written books are the ones which the writer had fun writing. Unless you enjoy the writing process, the book will seem dull or forced. However, many writers make the mistake of picking up a theme or topic that they aren't interested in. That's maybe "ok" if you're outsourcing your book writing to a ghostwriter (I'm going to cover this aspect later down the page). If on the other hand, you're writing it yourself then it's really no use picking something you have not interest writing about. By now you've hopefully come up with some ideas for a book and picked a topic. By the way, don't spend all the time trying to make up your mind. Although it's important to carefully do your research, there has to become a point when you just say "ok, this is what I'm going to write my book about." Many people worry so much about choosing the "right" topic that they never actually make a decision. Do a reasonable amount of research and then once you're pretty convinced there's some kind of market/interest in the topic then just go with it. 5. Write it yourself or outsource it? If you're good at writing then this is the ideal option because it allows you to inject your own personality and experiences into the book. In addition, wouldn't it be more satisfying to publish a book that you personally wrote? If you go down this route then you need to make your writing interesting. Write with personality. Every writer has a certain personality or tone quality, which the reader connects with. The worst thing you can do to your writing is to write in an even, dull tone or try to copy the tone of some other writer. In order to be interesting, your writing must have a voice of its own. Hence, in order to make your Kindle book more interesting, work on developing a personality for your writing. research. Thorough researching is every writer’s best friend. As they say in the literary world, God is in the details. You cannot possibly get the details right if you do not research properly. So, make it a point to talk to different people, read a lot and find out more about the topic or theme you wish to write on. If you're writing a fiction book then develop a good plot with strong characters. The essence of the book is in its plot and characters. Develop an interesting plot that will keep your readers hooked. Create realistic and interesting characters, out of your imagination or interactions with different people. The more you keep your characters relatable, the more interesting your book will be. spelling and grammar is paramount. The moment people discover grammatical errors or spelling mistakes in your Kindle book, they will write you off as an amateur. Not everyone has the desire or skill to write a book. It certainly takes quite a lot of skill and patience to write an entire book, even if it's relatively short. The good news, however, is that you don't have to be a writer in order to take advantage of Kindle. You can earn from publishing books on Kindle, even if you do not write them yourself. On Kindle, you are, basically, a publisher. In the traditional publishing world, one can easily tell the difference between the writer and the publisher. The writer is the one who puts together a book and submits the manuscript to the publishing house. Here, the publisher is in charge of publishing the book and also making all the marketing and promoting efforts. But, when it comes to Kindle publishing, these lines get blurred. Here, you are self-publishing the book. Hence, even if you write the whole thing, you are still responsible for all the marketing or promoting tasks – without which your book will simply not sell. 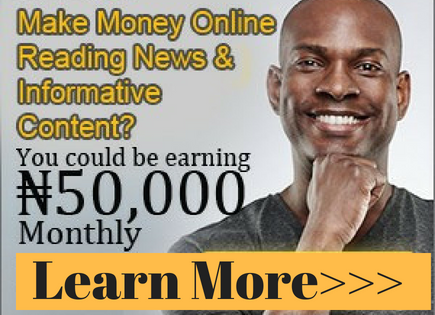 Since the job mainly needs you to be the publisher, your opportunity to earn without writing is right here. Get another writer to write your book, a concept termed ghostwriting is the best way to go if you cannot write yourself. Ghostwriting is a very popular service provided by a number of independent writers. In simple terms ghostwriting means that the writer writes the entire book, but does not put his or her name on it. Kindle. Make sure the writer you choose does justice to the book. The first few pages of a book are often given a free sample on Kindle, to attract the readers who will read that and want to buy the entire book. In order to sell more books on Kindle, the book itself has to be well written and attractive. You can easily double your marketing efforts if you choose to go with a ghostwriter. When you use a ghostwriter you also have a better chance of focussing more on the marketing and promotion part. So, focus on giving the book an attractive cover, you can use the services of a professional cover designer (you may use my services, I will design a great looking eCover for your book). Have a great title. Discuss the book on social networking sites such as Facebook, tweet about it, post about it on discussion forums and blogs. You can even start a dedicated website for the book. Along with that, decide the price at which you would like to sell the book and the countries where you would want to make it available. This way, you will be able to escalate your sales and earn good money without writing the Kindle book yourself. exactly what you are and aren't allowed to do. You can contact me to get over 5 million PLR books, articles software, scripts and videos. However, note that PLR isn't allowed on Kinde. PLR material actually isn't allowed on Kindle - but that doesn't necessarily mean that you can't use it at all. You can't use it "as is" - but you can buy a PLR ebook and then completely re-write it, adding your own experiences, anecdotes etc? You would need to completely re-write it and make it totally unrecognisable from the original, but that's the best way to use any PLR material anyway. Simply use the PLR material to give you an idea of what to write about! By this stage, you've got an ebook that you want to sell on Kindle. Now it's time to publish it. Before you get into the process of submitting your book on Kindle, you need to get the final draft of the book ready. For this purpose, do a thorough formatting and editing of your book, wherever required. Do the complete grammar and spelling check. Make sure your book format is compatible with Kindle. Kindle accepts MS Word, HTML, MOBI, EPUB, TXT or PDF format. If your book file is in any other format, then change it to one of these formats. readers and you will also be eligible to earn the royalty. Your book will be available on Kindle applications in an array of systems like Android, Windows, Blackberry, Mac etc. So, you need to sign in to the Amazon account. create the book. Contributors may include illustrators, editors, photographers etc. Thereafter you need to fill in a short description of the book. Lastly, you will need to put in the publishing details of the book – that is, the language in which it is being published, the date on which it is being published, the name of the publisher etc. to specify whether your book content is of public domain or whether you have necessary copyrights. This will affect the royalty you get from the book. Also, you will have to choose your publishing territories i.e. the countries you want your book to be available. This will affect the sales of your book, as particular countries tend to be a better market for a particular type of book. You also have to set rights of digital management for your book. eligible for 35% royalty. If it is copyrighted, then it will get 70% royalty. So make your choice accordingly. Amazon first, and if approved, it will be available in Kindle store. Publishing to Kindle is relatively easy, but once it's "out there" you're going to have to market it. Without marketing, it's basically like creating a website and expecting visitors to "come to you." So, in order to be successful, your book also needs to be marketed well. In case of traditional publishing houses, the task of marketing is usually taken up by the house itself. But here, since you are self-publishing, the marketing part has to be handled by you. Let's discuss some of the ways you can market your book right away. There is a reason social network marketing is such a rage today. Almost everyone is active in at least one social networking site today. It is where the buzz about the newest products goes on. And being talked about on a social networking site is the best thing that can happen to your Kindle book. So, before you even upload the Kindle book, make it a point to set up accounts on these sites and build a good friend list. acquainted as possible. Once your book is published on Kindle, advertise it on the social networks, include the link in your signature in forums or even emails. Create a Facebook page or tweet about it. As a publisher, your blog can be one of your biggest weapons to promote your Kindle book. launch of your Kindle book. You can also promote over video chatting platforms like Skype, or upload a video of it on Youtube and include a link on your blog. When you publish your book on Kindle, you often get a limited period promotional free sale. Utilize these days to the fullest. Announce the promotional sale of your Kindle book for free over the social networking sites as well as your own blogging platform. There are also various platforms, which focus only on books and reading like Goodreads. Make sure to promote extensively on these platforms, as you will get much more prospective readers here. the review on Amazon, or even on their personal blogs or websites if they have any. This is a great way to ask a fellow blogger to review your book and write a post on it on their blog or a guest post on your blog. If you get any negative review, then be graceful about it and do not attack the reviewer. The key is to get as many reviews as possible so that the word about your book reaches far and wide. any upcoming offer on the book. your Kindle book and your promotional task will be done successfully. Successful authors publish related books. Say you published your first ebook on Kindle and it becomes a runaway success. You will no doubt earn a lot of royalty. But, every day new books are being added to Kindle. It would only be a matter of time until your book fades away to the background and some other writer’s book takes its place. This is why it is very important to keep being on the reader’s radar. One way of doing this is by keep marketing about your books on various digital platforms like social networking sites and discussion forums. As already mentioned up there, you can even start a website solely based on your book. But, all the above efforts are bound to fizzle out after some time. way related to their first book. Related books help the audience to recognise and connect. In order to be an established author, you have to have a decent number of books to your name. Writing some related books to add on to your list of published books gives you that credential. When you write related books and publish them, they come up more often when the readers search for books of the particular theme. So, instead of depending on one book to catch your reader’s eye, you will have multiple books. This will put the odds in your favour. Also, having related books establishes you as a writer of that particular theme or topic. This means that your readers start connecting you with that theme and hence whenever they want to read a book of that theme, they would look you up, or recommend you to friends. It is very important to establish such connection in your reader’s mind as that will substantially lead to multiple sales of your books on Kindle. Then there is also the matter of earning more royalty. It is no surprise, that, the more books you have on Kindle store, more will be your chances of earning a good monthly or annual figure. Instead of depending on the flow of royalty from one book, you will be getting it from multiple books. This way you can really build up your Kindle book empire and become an established and high earning published author. It can also help you in your marketing efforts if you have a separate blog or website – thereby multiplying your earnings. Where is Kindle publishing heading in the future? Kindle books vs hard copy books – the present reality. The present scenario of Kindle books is extremely positive. It is a fact that hard copy books will never really go out of style. But, thanks to devices like Kindle, the demand for ebooks is on the rise. The sales for print books have come down considerably, compared to the last decade and the sale of ebooks are breaking all records. Since most of the world population remains active on the digital platform, it is easy to see why they would want to opt for the convenience of ebooks. These books can be easily browsed through and bought on the Kindle store and be read on the digital device anywhere. These ebooks do not take up any physical storage space either. So, they will remain to be a popular option for buyers. with all the formatting and editing done, in under an hour! There is also the added advantage of being able to reach a wider reader base within a short time. Kindle by itself is a highly established ebook reading platform with a huge number of users. The moment you publish a book on Kindle, it becomes accessible to thousands of readers around the world - that too within hours of publishing it on Kindle. rapid spread and further development of technology, it can be safely assumed that the sale of ebooks and development of self-publishing portals like Kindle will be on the rise too. To put it succinctly, Kindle publishing is probably heading towards a prosperous future. In conclusion, Kindle provides many opportunities for individuals, authors and publishers - and it looks as though the Kindle phenomenon is here to stay. As already discussed, Kindle provides many advantages over traditional publishing. Put simply, it has never before in history been easier to publish books than it is today. What's more, Kindle makes it easy to reach a potential worldwide audience in record time. As you can see, one of the cornerstones of success with Kindle is picking good topics for books. Whilst that's definitely true it's also important that you just get on with it! Many people before you have felt so overwhelmed and confused by making the decision of what to create a book on that they have never gotten any further with their Kindle venture. Whilst there are no guarantees of success with Kindle (there never is with any business) I hope you're exciting by the potential opportunities that Kindle provides you with. I hope you found this article on this web page useful and I wish you much success!